lets go has late joined the tournament, they will need to complete their first match ASAP. lets go is considering late registering to the tournament, they will need to add their players and click FINALIZE TEAM as soon as possible. Tournament has started, the bracket can now be viewed. Teams will be entered into their first match shortly. There is space for seven teams to late register. Late regos are open for 25 minutes. 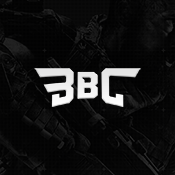 Teams that have not ready'd up have been removed (0), final signups still open. So far 42/64 teams have joined. 22 places remain. We currently meet the minimum required teams for the tournament to proceed!.